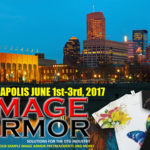 If you live in the midwest, make sure to come to the Indy Printwear Show this week June 1st-3rd. Stop by booth #516 to see the DTG industry’s newest and most innovative products that are changing the way you DTG. 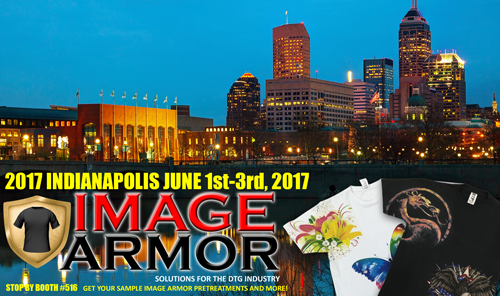 Image Armor will be handing out free quart samples of our LIGHT and ULTRA shirt pretreatment formulas. We will also be partnering up with RTP Apparel and handing out sample shirts of the RTP Apparel shirts that require NO PRETREATMENT prior to DTG printing. So, stop by, say hello and come join the DTG Revolution in Indianapolis this weekend.